Champ Edmunds, a relatively unknown Montana legislator (R-Missoula) is reportedly announcing his run for vulnerable US Senator Max Baucus’s seat at 12:30 pm on Thursday, February 28. Just two days after his blast motion on HB 480, a bill to increase Montana’s incentives to attract movie and television businesses, failed due to a lack of support from Republicans, Edmunds apparently feels confident enough to launch his US Senate campaign. A no-confidence vote from his own party isn’t a great message for Champ. Earlier this month, Edmunds sent a letter to his supporters begging for soliciting donations. In the message, he blasted “establishment Republicans”- presumably GOP opponent Corey Stapleton, former State Senate Minority Leader. Apparently Champ is campaigning as the Ken Miller in this race, running to the right of Stapleton. This is an effective strategy in Montana’s statewide races- to elect Democrats. If Edmunds hasn’t noticed, there aren’t many Republicans holding elected state office in Montana outside of the legislature. You may have read that Karl Rove is trying to suppress grass roots conservatives in the next election cycle. But there’s good news! Here in Montana, we have a choice between a party establishment-backed candidate, and an authentic conservative. While “authentic conservative” Edmunds isn’t likely to offer much competition to either six-term Democrat incumbent Max Baucus or to “party establishment-backed candidate” (what?) Corey Stapleton, his goofiness and tea-approved social views will surely add entertainment to the campaign. A liberal blog already called him the “Craziest Candiate (so far) of the 2014 Election Cycle”. Support from the embattled racist chairperson of the Yellowstone County GOP/Montana Shrugged, Tea Party Patriots co-founder, Jennifer Olsen is likely. All of the speculation surrounding Denny Rehberg‘s political plans for the future is being put to rest. Thankfully rollcall.com is breaking the “news” that Denny Rehberg is indeed challenging Jon Tester‘s senate seat. I was getting really tired of sitting on the info while political insiders claimed he was focusing on his House seat now in light of the successful fundraising by Steve Daines. Michele Bachmann is speaking at the Lewis & Clark Lincoln-Reagan Day dinner where Rehberg is expected to make his announcement. Steve Daines is expected to announce Thursday that he will be dropping his senate challenge to Tester and instead running for Rehberg’s empty house seat. Daines was off to a great start fundraising and it is doubtful that he could have raised so much so quickly running for US Congress. 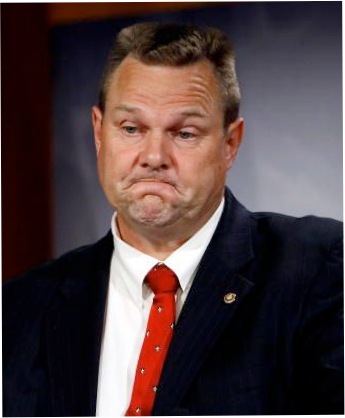 Tester has made quite a few enemies on the left lately, in part due to his vote against granting amnesty for children of illegal aliens. He’s managed to run under the radar in Montana however, voting exactly like Max Baucus most of the time while escaping criticism. 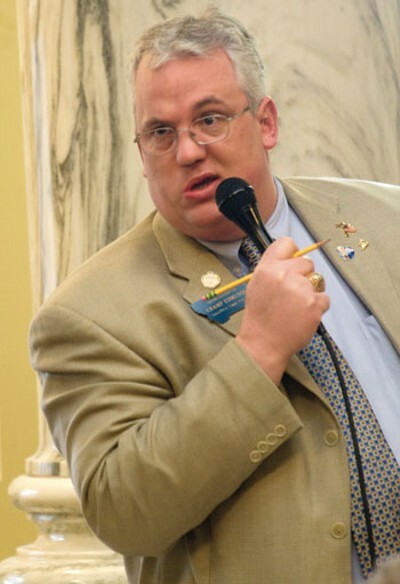 Will Rehberg’s challenge produce a Republican senator from Montana or will our state lose all GOP representation in DC? 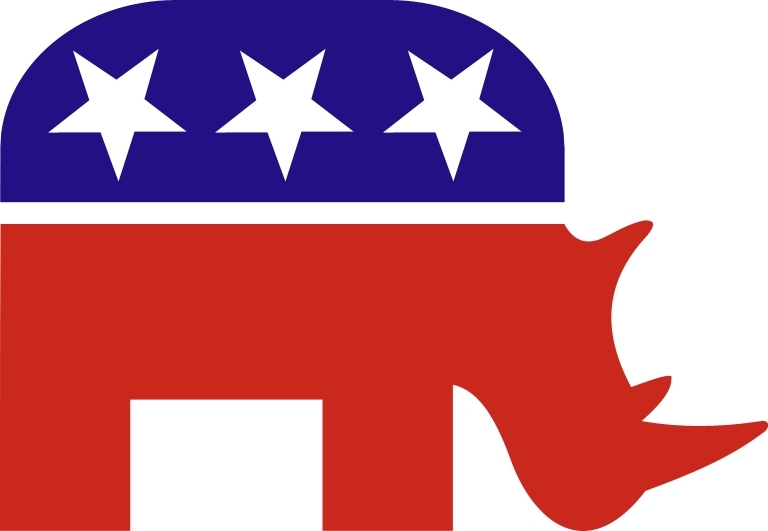 Is Montana's 2011 Legislature Being Led by RINOs? “This election sent a clear message. America looked socialism in the eye and they said we’re scared.” Mike Milburn, Montana House Speaker. Indeed. Why then are Montana Republican legislators being discouraged from associating with bills seeking to repeal national healthcare reform mandates? Rumors are circulating that Senate President Jim Peterson (R-Buffalo) and Majority Leader Jeff Essman (R-Billings) have asked legislators sponsoring bills calling for the repeal of Obamacare not to proceed after a legislative analyst suggested the Senate should not be focusing on such legislation this session. Is it up to legislative analysts to direct our future? If Attorney General Steve Bullock continues refusal to join other states filing suit against the mandates, it will have to be addressed legislatively. Many states are pursuing repeals of the unpopular law which was recently ruled unconstitutional by a federal judge. About the decision, Montana’s lone representative Denny Rehberg had this to say. We elected conservatives to REPEAL Obamacare, to STOP the growth of the government’s size and scope, to CREATE jobs and STIMULATE the economy. We did NOT elect republicans to take the pragmatic approach. We did NOT elect republicans to negotiate deals with radical environmentalists and other liberals in effort to gain leadership positions. We did NOT elect Republicans to work with Schweitzer. When our elected officials appease progressives, Marxist ideals increase exponentially. We cannot abandon constitutional principles under any circumstances. Moderation is dangerous in today’s world. The leftists aren’t moderates- they are socialists. Negotiating with them is a recipe for death of our republic. Montanans elected conservatives in November to rail against Marxist ideals, not to dilute our principles. Many GOP legislators were elected not because they were Republicans but because they were not progressives. Montanans aren’t concerned with social issues this time around, our future is hanging by a thread. Our government has lost its way as legislators have compromised their values in favor of “bipartisan” efforts. Fiscal concerns trump all religious agendas. Accomplish what we elected you to do and you will earn political capital. Don’t waste our future in mediation with thieves. If your principles don’t cost you anything, they weren’t worth very much. Stop preaching that we all need to remember why Republicans were elected unless your actions are consistent with your message. That means you are a hypocrite for sponsoring bills to repeal medical marijuana when Montanans are concerned with fiscal issues. If you want any credibility, you must counter that proposed loss of 5000 caregiver jobs with creation of at least that many positions. Don’t act like Baucus and Tester. Both US Senators ignored their constituents and made decisions that will affect Montana forever. In the process, they made passionate enemies on both sides of the aisle. Progressives say they didn’t do enough while we say they overstepped the Constitution to advance an unwelcome agenda. Remember that you were elected not to rule, but to serve. Integrity requires courage. You took an oath. It does mean something. Worry more about being respected than about being popular. The 2011 Legislative Session will reveal if we wasted time helping liberals get elected as Republicans. Hopefully instead, our efforts will be rewarded with consistent conservative votes and a structurally balanced budget. Hopefully the rumors are unfounded but regardless, don’t hesitate to call/write/email your legislators. Tell them you expect Montana to repeal/nullify/opt out of Obamacare. 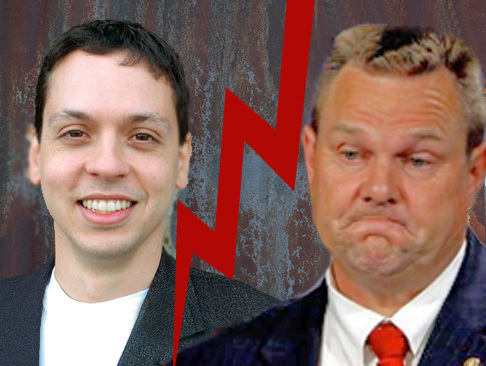 RightNow Technologies Vice President Steve Daines (R) has ended speculation on his political aspirations by officially announcing this morning his campaign to unseat Senator Jon Tester. The fifth-generation Montanan intends to take his years of private sector experience to Washington D.C after sending Tester back to his organic farm near Big Sandy. 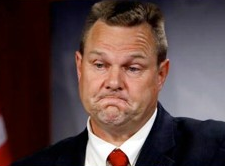 Progressive Democrat Jon Tester has seen his popularity in Montana wane after voting for the stimulus and healthcare bills that Montanans largely opposed. His voting behavior puts him in the mainstream of his party, having sided with Senate Democrats in over 90% of votes, With his partner in crime, Max Baucus, he managed to avoid virtually all contact with Montanans- most of them angry- prior to voting on the bills. In at least one instance, Baucus and Tester arrived at a listening session in Billings to find protesters outside the venue. They promptly left the event instead of facing the anger of their constituents. In contrast, Republican Representative Denny Rehberg held countless listening sessions and town hall meetings across the state. Baucus has received most of the criticism over the stimulus and healthcare, in part due to his position chairing the US Senate Finance Committee as well as his public role in passing the sweeping healthcare legislation that he authored yet later admitted not ever reading. 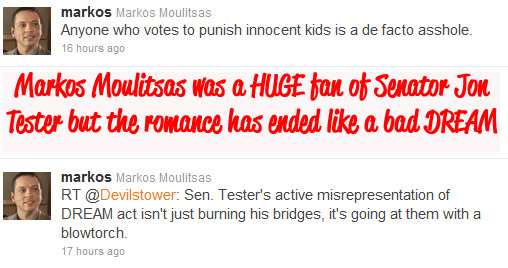 Montanans need to remember however that Tester is just as out of touch with Montanans as Max Baucus. In fact, Tester votes even worse than Baucus. According to the JBS Freedom Index, a congressional scorecard based on the US Constitution, Baucus receives an overall score of 8% while Tester’s score is a paltry 5%. Montanans should be absolutely ashamed of themselves for electing these thieves in the first place. In contrast, while far from perfect, US Representative Rehberg’s overall score is 79% with the most recent session scoring of 90%. Let’s send someone who has a long history of success and job creation to the US Senate. 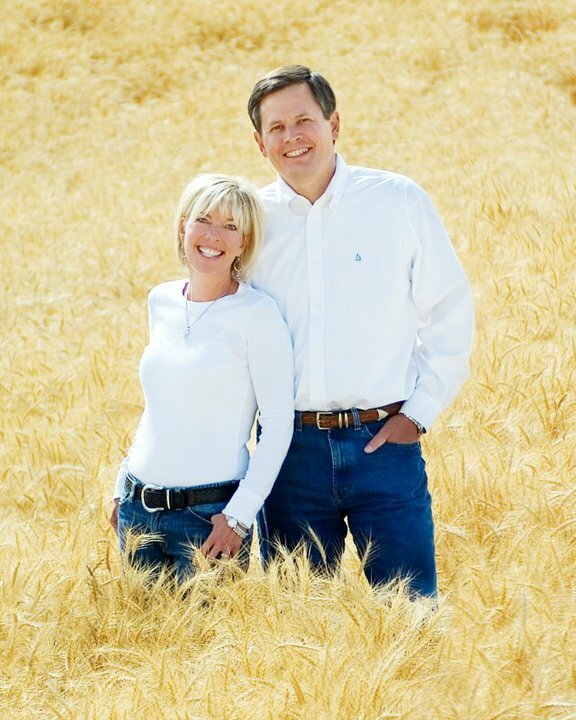 Running on a platform of more jobs, less government, Steve Daines is the real deal. Baucus seeks to strip The Patient Protection and Affordable Care Act‘s (PPACA)cumbersome requirement that all businesses report payments to and purchases from any business totaling more than $600 in a calendar year. Some 40 million Americans were potentially subject to the requirement, including 26 million sole proprietorships. Wherever will the democrats steal the money to fill the gaping hole surely to be left by removing this provision? Apparently Max is again looking out for Max. Montana shifted considerably to the right in the mid-term elections and Max knows we blame him for Obamacare. Way to make an effort, Max. Perhaps if you would have read the bill in the first place or, GOD FORBID, held town halls and listening sessions in Montana instead of hiding cowardly beneath your DC desk with your chubby buddy Jon Tester, you would already have known how much people hated this horrible law. How much money would we have saved- or allow me to present this in a more liberal-friendly way- how many trees’ lives could be spared by eliminating this provision from the bill initially? Better yet, by never enacting any of it in the first place? Perhaps Max’s constituents would have preferred he propose enabling insurance companies to sell across state lines and some sweeping TORT reform instead of this monstrosity. Way too little, way too late, Max. I am still planning a hell of a retirement party for ya in 2014.